Additionally we stock all the materials and tools needed to tie your own flies. 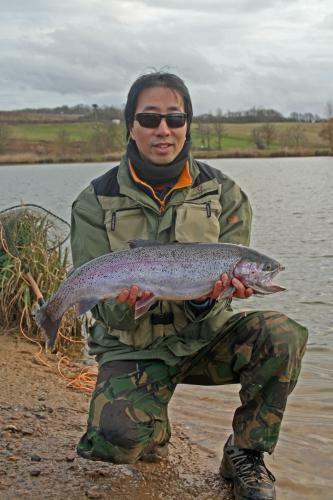 Individual fly fishing lessons can be organised. We stock all your fly fishing needs and if there is something you require which we don't have we will be glad to order it for you. 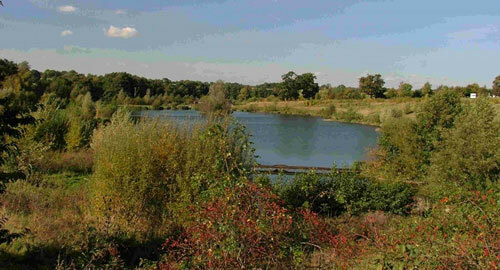 Fly fishing is available at Rib Valley Angling's Millenium lake. Two boat mooring points are positioned in the centre of the lake. Boats include one rowing boat to accommodate two anglers and one disabled wheelie boat with electric outboard. Fly fishing is usually suspended at the end of May, due to high water temperatures being unsuitable for the stocking of trout. The lake will then be open to bait fishing for trout and silver fish until mid September when restocking will take place and fly fishing will be resumed.